It’s inevitable, from October through December you’re tempted with sweets at every turn. 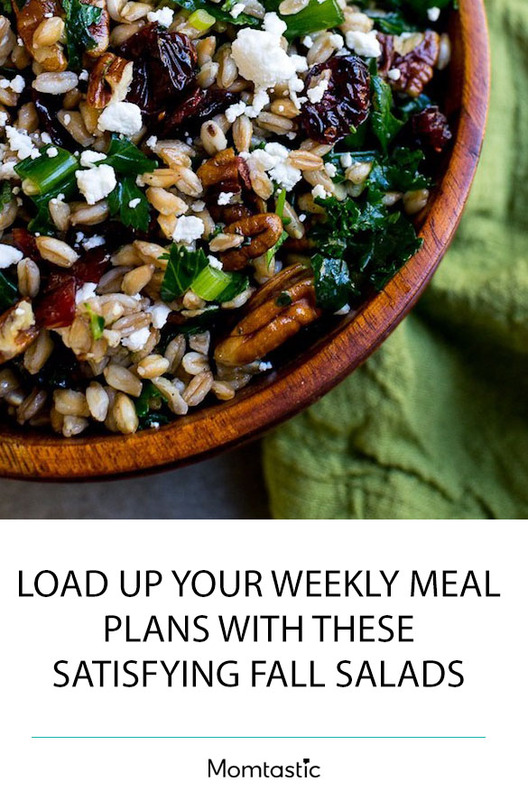 Instead of feeling guilty when you do indulge in a trick or treat (or two, er, well let’s be honest, four), which we all do, load your weekly meal plans with up with these fall salads that are full of seasonal flavors. These salads offer autumn-fresh ingredients that your kids may not be familiar with (yet!) but they are an easy way to introduce them to these flavors. We understand that salads can sometimes be intimidating when you have kids, but be brave and try a couple out. The whole family be surprised and one or more of these autumn salads may become a recipe that is on your weekly dinner rotation.